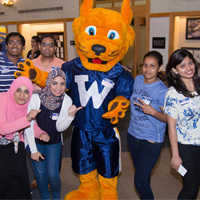 Webster University’s St. Louis campus became home to students from many nations in Fall 2016. We welcome the diversity and alternative points of view they bring to our classes. For most of the students, English is their second (or third, or fourth) language. While many come to Webster fully proficient in English, others may struggle with the demands of learning in a second language full-time.